Police in Spain and Thailand smashed a counterfeiting ring earlier this month, saying it aimed to provide fake European passports to al-Qaida. It's the latest example of Spain's place at the heart of European terrorist activity, serving as a staging ground for multiple plots and enduring the devastating March 2004 Madrid train bombings. Despite its efforts, American officials have expressed concerns – and at times frustration – about Spain's terror growth, State Department cables released by Wikileaks show. "Extremist groups active in Spain tend to be decentralized, collaborating on an ad hoc basis and united more by friendships, family ties, and loyalty to the global jihadist cause than by membership in any given terrorist organization," a September 2005 cable said. "While Spain-based groups at first focused on organizing themselves and providing logistical support to extremists in other countries, they became increasingly aggressive after the September 11 attacks and the subsequent Government of Spain crackdown on Islamist terrorist cells in Spain." The cable identified the presence of a number of terror groups and more than 1,000 operatives in Spain, from groups as varied as Algeria's GIA, Pakistan's Lashkar-e-Tayyiba, and recruiters for the Iraqi resistance. Successive waves of immigration, coupled with cooperation between terrorists that went beyond loyalty to a particular front of global jihad, combined to give Spain some unique challenges when countering terror at home. "Many of the first Islamists to take up activities in Spain had a good education and many had good jobs and were considered well integrated into Spanish society," the cable noted. However, each major wave of immigration brought a new terror group to Spanish shores, as well as increased cooperation between terrorists of various nationalities. U.S. officials recommended creating a Southern European Law Enforcement, Counterterrorism, and Regional Intelligence Hub in Barcelona to better track the terrorist threat there. In addition to the 2004 Madrid bombings, which killed 191 people and injured nearly 2,000 others, Spain has broken up plots to blow up the National Court and attack a high-profile target in Barcelona. "Unfortunately, it appears that Spain will remain an active front in the War on Terror for some time to come," the September 2005 cable said. And the country has served as an operating base for terrorist plotters and financiers. A cable released by the State Department discussed the November 2001 arrest of the Syrian leader of an al-Qaida cell by Spanish authorities. They believe a Palestinian radical and a Syrian al-Qaida member "played a critical role in organizing Syrian exiles in Spain to support the international jihadist movement," the 2005 cable said. Syrian radicals supported "the international jihadist movement" and "aided the development of other Islamic extremist groups." Algerian GIA fighters took refuge in Spain, including Algerian cell leader Mohamed Benshakria, head of the 'Meliani Commando' which had been broken up in Germany. Pakistanis began logistic support networks for Kashmiri and Afghani terrorists, and later even planned attacks such as 2008 failed bombing of Barcelona's metro by the Taliban. Sizeable Moroccan immigration "provided Islamic extremist recruiters in Spain with an ample supply of poor, alienated young men and access to funds from drug trafficking and other illegal activities," according to the cable. That suspicion was confirmed by the 2006 arrest of Moroccan-born Omar Nakcha, who headed two cells recruiting for al-Qaida and the Iraqi resistance. 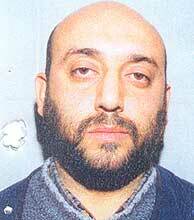 Spain's handling of another terror suspect arrested in 2001 has frustrated American officials, other cables show. One, from September 2006, shows that the United States pushed Spain to designate an al-Qaida-linked terrorist named Imad Eddin Barakat Yarkas through the United Nations for his role in the September 11th attacks. Yarkas, also known as Abu Dahdah, already was serving time in a Spanish jail. "This [designation of Yarkas] should be relatively easy as he has already been convicted of membership in a terrorist organization," a 2006 cable said. "The practical effect of designating him may be limited as he is in jail, but it would certainly have some symbolic value." The cable also noted Spain's failure to implement regulations related to financing in its 2003 terrorism law. But the designation never happened. Spain's Supreme Court then claimed a lack of admissible evidence in overturning conspiracy to commit murder charges against Yarkas for his involvement in the September 11th attacks. He was accused of setting up a key meeting with the lead Sept. 11 hijacker in July 2001. A series of 2008 cables showed U.S. efforts to get Yarkas designated continued. In a March 2008 meeting with Treasury Deputy Secretary Robert Kimmitt, Spanish Secretary of State for Security Antonio Camacho said that Spain had forwarded information on Yarkas to its Foreign Ministry for the UN Security Council designation. As these efforts dragged on, El Pais, considered Spain's paper of record, published a front-page story claiming that Yarkas had financed terrorist cells from his jail cell in 2006 and 2007. Spanish officials minimized the story, saying it was likely inaccurate, and that a designation "would not have made a practical difference." A cable from July 2008 noted the potential for additional charges of terrorist financing against Yarkas arising from the El Pais article, as well as continued frustration about Spain's lack of activity on the designation. "You may wish to ask SEPBLAC [Spain's Financial Intel Unit] whether there is, in fact, an ongoing investigation into Yarkas's possible activities. We have not been able to confirm whether there is an investigation through other channels," the cable said. "The National Security Council has been interested in designating Barakat Yarkas for several years, and we have urged the Spanish government to do so. For reasons still not entirely clear to us, the Spanish government has desisted from designating Yarkas." A final Wikileaks cable from March 2009, detailed how the U.S. efforts had "taken a twist following allegations beginning in April 2008 that Yarkas was involved in financing terrorism from his jail cell during 2006-07." In the cable, Magistrate and President of the National Court's Criminal Chamber Javier Bermudez reaffirmed in that Yarkas did meet with 9/11 hijacker Mohammad Atta and facilitator Ramzi Binalshibh, "justifying the original conviction." Repeated efforts to approach Spain's Interior Ministry, Foreign Ministry and the Government's National Center for Counterterrorism Coordination (CNCA), failed as each organization blamed the others for failing to gather the information or act on it. Yarkas' prison sentence was reduced from 27 years to 12 years, making him eligible for release in 2013. Beyond the Yarkas case, counter-terror efforts between Spain and the U.S. appear healthy. Spain greatly increased its counterterrorism activity and cooperation with the U.S., "combating the target-rich environment of terrorist and criminal activities centered in the region," according to the October 2007 cable. State Department assessments from 2007 and 2008 showed that the threat continued. 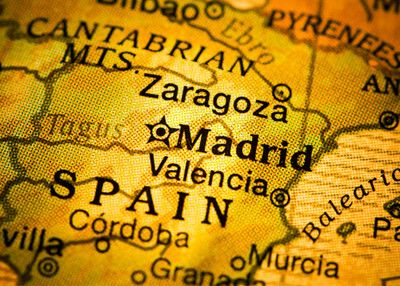 "Spain remained an important transit and logistical base for terrorist organizations operating in Western Europe," noted the State Department's 2008 Country Report on Terrorism. "Its geographical location, large population of immigrants from North Africa, and the ease of travel to other countries in Europe, made Spain a strategic crossroads for international terrorist groups." Spanish terror arrests in 2008 also showed an increase in al-Qaida affiliated presence in the country. "Spain continued to aggressively target terrorist recruiters and facilitators. The Ministry of Interior detained 65 suspected Islamist terrorists. Many of these individuals were believed to be supporters of terrorist groups such as AQ, AQIM, and the Moroccan Islamic Combat Group (GICM)," the 2008 report said. The State Department's Country Report on Terrorism for 2009 also identified Spain's continued central role as target and staging point for terrorism. "The Government of Spain and its citizens recognized that their country remained a principal target of Islamist terrorist groups who routinely called for 'recapture' of the Iberian Peninsula, 'liberation' of Spain's North African enclaves in Ceuta and Melilla, and for the Spanish military's withdrawal from multilateral forces in Afghanistan and Lebanon," the report said. "In October, al-Qa'ida in the Islamic Maghreb's (AQIM) decision to name its propaganda unit, 'al Andalus', reinforced the Government of Spain's concern that Spain remains a priority target for AQIM."